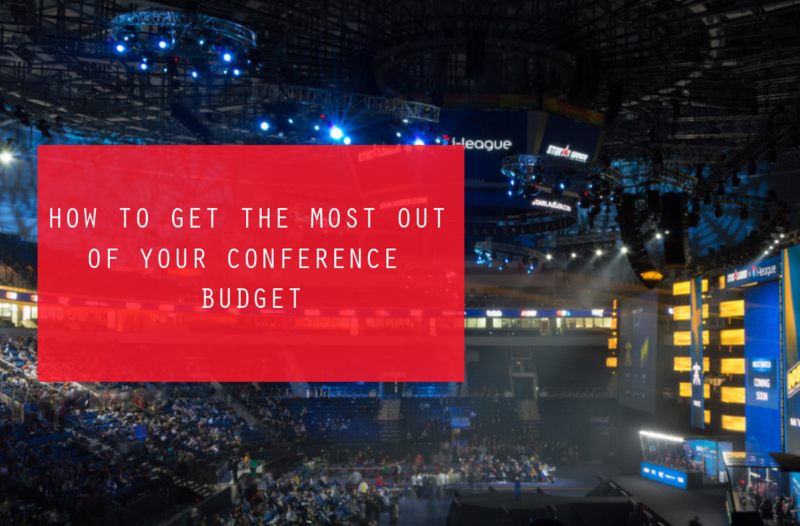 When obtaining a conference budget, there are many facets that can determine your success. The same goes for any operation, possibilities increase with financing. If you represent an association that has just acquired event sponsorship and are looking for ways to maximise on the allocated budget, then carefully considering the following aspects is imperative. Never underestimate your value as an association, along with the value that an organisation will gain by attaching their brand to your conference. If your current conference plan looks likely to make a loss, rather adjust your plans so that you break even at the very least. Once you have acquired a budget, you will need to capture all quotes and costings in one place to determine whether you can afford it all. Your budget should cover all possible costs – what the event turns over in terms of ticket sales should be pure profit. If your budget doesn’t cover certain activities, then try to remove them from your plans entirely. Try not to be too optimistic about the success of your event. Oftentimes, being too optimistic about your turnout can cripple the entire operation financially, so be modest. It is too risky spending more than you have been allocated based on how many people you think may attend. Although you have acquired event sponsorship, what would you do if they were to pull out? It is important you have thorough contracts drawn up to prevent this. If you have never hosted a conference before, we recommend seeking professional advice to avoid any detrimental occurrences. If things do go poorly, you need to have a contingency plan in place to try and counter any mishaps. In order to ensure your budget covers everything and that you do not run out of money, it is important to verify your expenditure from the very beginning. Once you have verified this, it is crucial to then create a conference budget priority list. Now that you have determined your essential expenses, how do you make the most out of your budget? If there are items on your conference budget list that you would love to have, that you think would enhance the event, but simply cannot afford, then look for ways in which you can cut costs. Perhaps find a venue offers seating, catering, internet and audio/visual equipment as a package deal? Furthermore, you could even approach hotels, car hire companies and venues for sponsorship. This way you cut out three of your major, fundamental costs. Depending on what your association and conference represent, you could even acquire volunteers as on-the-ground staff. There are several ways you can approach budgeting for a conference in a shrewd and effective manner. Finally, in order to maximise the event budget, you have received, make sure to approach three separate vendors for each item on your conference planning list. This way you can identify inexpensive, but more importantly, reliable options. Further to this, having multiple quotes allows you to negotiate. This is your leverage for attaining the most valuable deals. For expert conference planning services, get in touch with us at Congrex Switzerland.